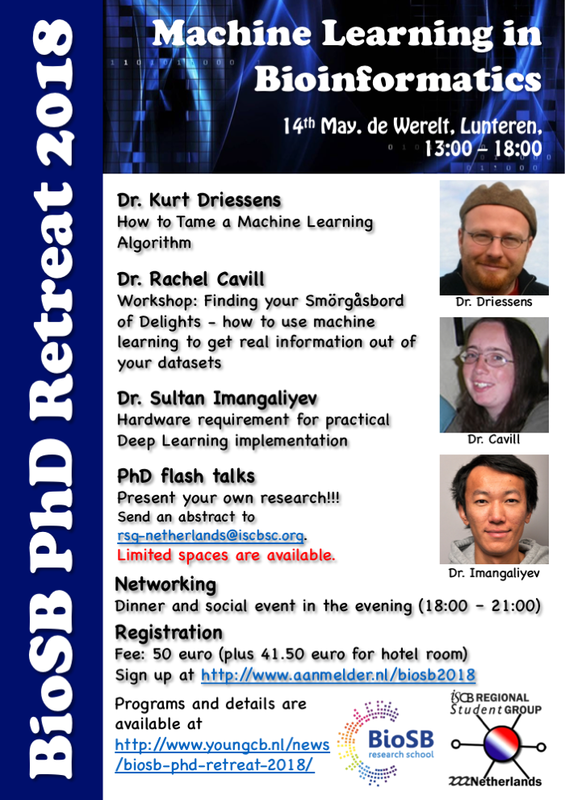 YoungCB (ISCB Regional Student Group Netherlands) is pleased to invite you to the BioSB PhD retreat 2018 in the afternoon May 14th. 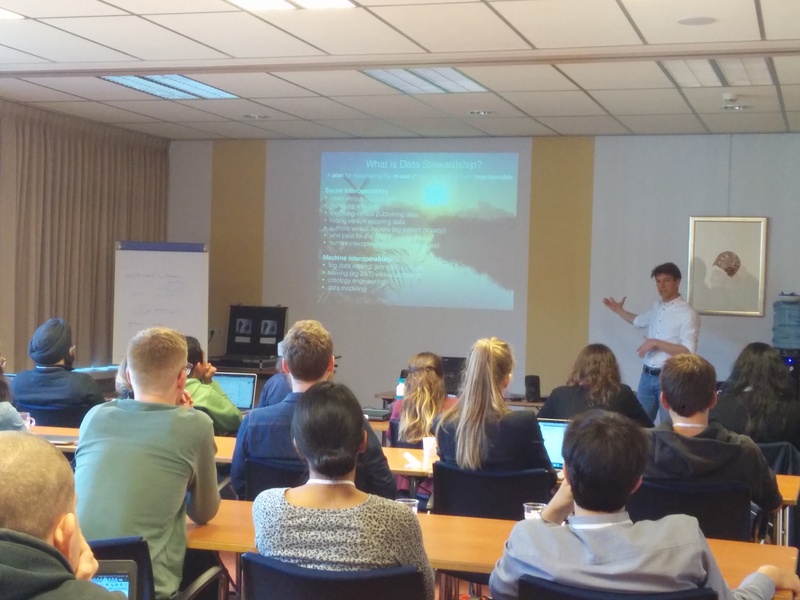 The retreat will be held in Lunteren at the Congrescentrum De Werelt, preceding the BioSB conference. The retreat is sponsored by the BioSB research school. We encourage all (PhD-) students and young researchers in the fields of computational biology, bioinformatics, systems biology and related fields to attend this annual retreat to discuss your research and build a network with fellow young peers in the Netherlands. The retreat provides you with the opportunity to present your research to fellow students and young professionals. This year’s them is Machine learning and Deep learning. We will have 3 keynote speakers including one work shop. In the evening there will be a dinner in the centre of Lunteren, followed by a fun social event at the conference centre bar. 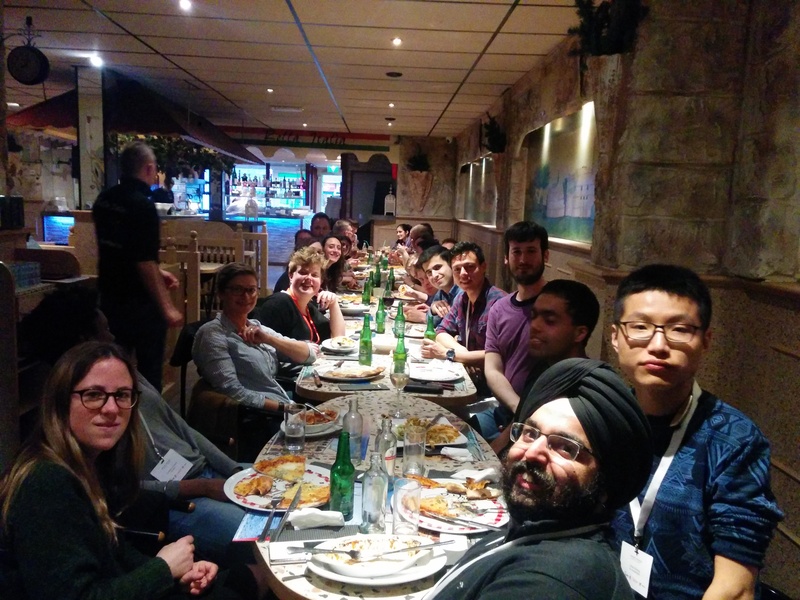 The evening program provides you the opportunity to network with fellow (PhD-) students and young researchers. NB: Do not forget to bring your laptop for the workshop!! You can also book a hotel room via the registration form. If you also register for the conference, please note that if you book a ‘private room’ for the PhD retreat but a ‘shared room’ for the conference, you may have to move to another room at the first day of the conference or will have to share the room the night after the PhD retreat.